As piano teachers, we’re quite adept at bridging our adult world to that of the typical seven- or eight-year-old beginner. It requires only modest effort because most 1st and 2nd grade students also try to bridge their world to ours. The attempt to “bridge worlds” is two-way, so teaching and learning are fluid and reasonably predictable. It is a different matter, however, when we work with children at ages 4 and 5. Not only is this young beginner’s world substantially different than the adult world and qualitatively different than ages 7-8, the young beginner does not “meet us halfway.” 4-5 year olds require us to find and enter their world. The young beginner is not inclined to adapt to us, so we must adapt to the world of the young beginner. What is this world of the young beginner? It is fun, fantasy and exploration. Seriousness? Teacher-driven rules? Tight control? These close down a young learner’s intrinsic interest. Playfulness? Creativity? Adventure? These drive the youngster’s learning. And the multi-sensory world of music makes a perfect context for such a playful adventure. We take the child into a musical “playground” that engages the emotions and the senses. In this world, we explore, we hear, we look, we learn. To be fully effective, we combine visual, auditory and kinesthetic (feel/touch) experiences with a spirit of play, including playmates—the “friends at the piano” of My First Piano Adventure®. The student’s “musical friends” pose a new adventure with each piece: swimming with a whale, climbing a treehouse, dreaming of the Tooth Fairy. Engage with each page as a new encounter, a new surprise. Take in the visual; catch the emotion. Hear what the child says about the context. This adds personal meaning that engages attention and primes memory. Then listen to the CD track. Now the engagement is auditory, yet with emotion. Next, make it tactile. Feel the keys; listen to the sounds. Smile and sing. Engage the senses, and engage the child with a playfulness of spirit. Wendy the Whale moves her big tail, then dives lower and lower. Activity-based learning—this is key. Each student responds with personal favorites, which makes this level such a joy to teach. The antidote to a short attention span is to get off the bench: move to the table, sit on the floor, move to the board, back to the bench. Activity-based teaching allows adaptation, repetition, and variation. Not every page is essential, but having the student’s attention is. 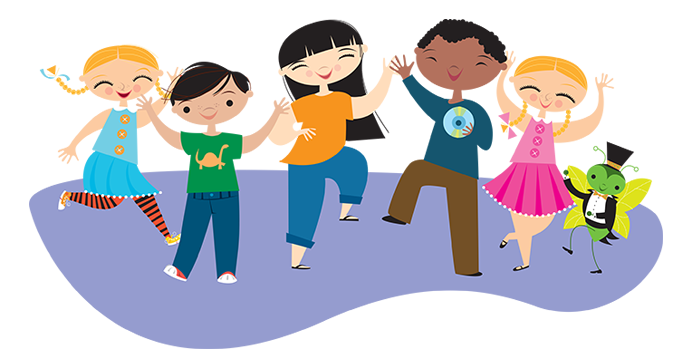 Celebrate student favorites and repeat them from week to week to glean all their capacity for musical development. Use creative variations for fun and challenge. Noodle fingers, small hands, no coordination… maybe we should wait until the child is older? This fallacy is remedied by recognizing that a child will never “grow” a pianistic hand. A pianistic hand is developed through guidance and practice. So the undeveloped hand physique of the youngster is ripe for guidance and presents an ideal time to start on technique. We just need to adapt our teaching routine and introduce activities that appropriately guide physical development of the hand. As a priority for this age, we want to develop the hand structure. (Teaching a floppy wrist and relaxation would be an unproductive starting point.) We need a physical framework that is sorely lacking in the undeveloped hand. The use of braced finger 3, with a relaxed wrist and a free-fall drop (arm weight) is perfect because it models the hand structure and alignment of finger, wrist and arm. Unique and effective, “Stone on the Mountain” introduces sophisticated aspects of piano technique. Then we work on the fingertip with Cookie Dough (pushing chocolate chips into imaginary cookie dough), which sets up the next several pages for using only a braced finger 3 (Dipping L.H. and R.H. Donuts, and Twinkle, Twinkle Little Star). An upward (and/or forward) wrist motion that drives the “bridge” over the fingers is practiced in Mitsy’s Cat Back. This wrist motion is then developed into an expressive “rainbow” gesture that carries that hand across the keyboard. While it is exciting to see the child develop good technique habits at a young age, it is even more exciting to observe the young student’s development of rhythm and pitch perception. These perceptual skills develop most effectively with early-age exposure, so My First Piano Adventure® puts special focus on this aspect of brain development with the enclosed audio CD. For rhythm, we emphasize feeling the steady beat in the body. We are going for a kinesthetic response, as in Roll Call, which introduces the Friends. 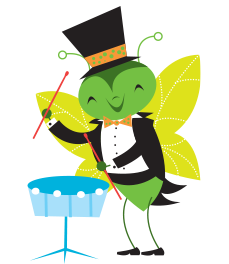 “Tap,” the music firefly, is the rhythm mascot. 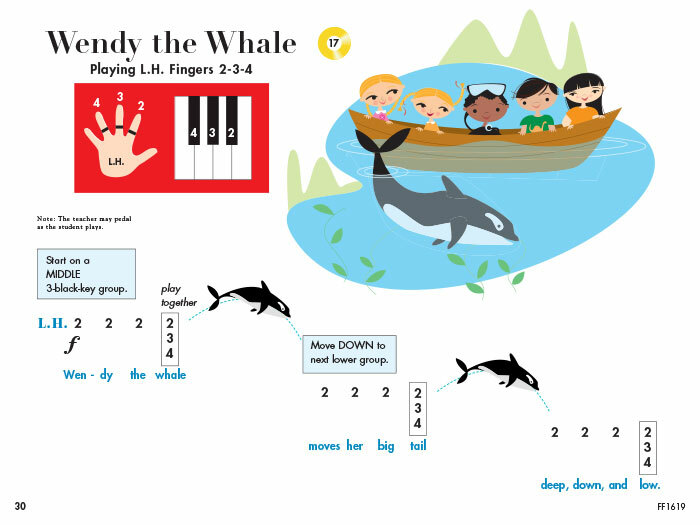 “Tap” introduces the Monster Bus Driver (for imitating rhythms), Dancing Feet and Band Practice (for tracking the beat and rhythm notation) and the repeating, notated rhythm patterns of Monsieur Mouse and Mouse Rhythms. The tunes and audio recordings also emphasize pitch. Student voices—girl and boy alike—are carried from “chants,” which open the book, to singing of melodies, including famous classical themes of Beethoven and Mozart in Book B. (Haydn, Brahms and Tchaikovsky in Book C.) Special emphasis is placed on the hearing of tonality and the expressive power of music. The joy and reward of teaching young students more than offset the challenges. And the challenges are readily addressed with the right curriculum and the right attitude. 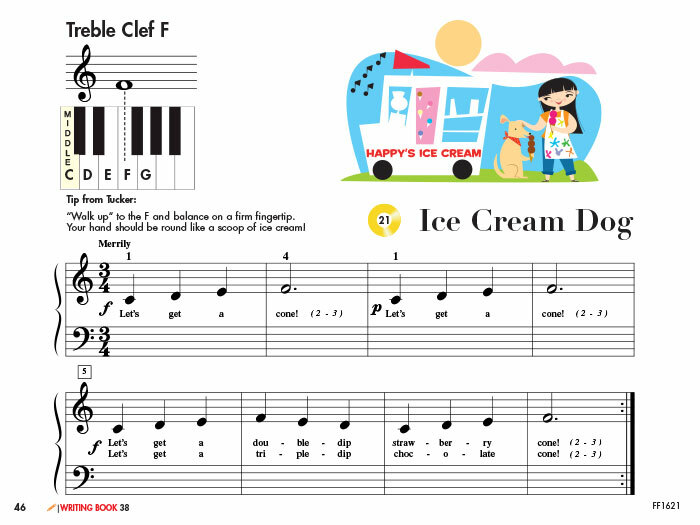 My First Piano Adventure® provides the curriculum. The teaching attitude is—keep it fun! The child’s life at this age revolves around fun for good reason. Fun motivates play, and play is the child’s “magic formula” for learning. My First Piano Adventure® allows you to step into the child’s world and, together, explore the joy, challenge, and beauty of music. With fun as your watchword, seek to draw out your student’s full attention and vibrant spirit. The child just may give the same gift back to you. These wonderful books have helped 2 of my grandsons delight in and learn to play the piano. I delight in playing the duets with them. At ages 6 and 8 they are now both in book 2. The 6 year old is excited to be learning Big Dog Boogie like his 8 year old brother.